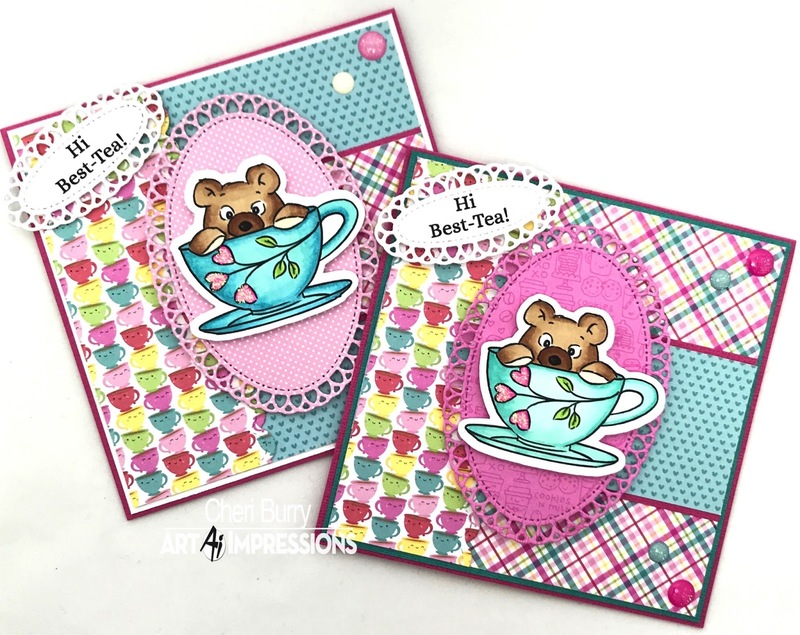 It's the 2nd week of the "Feel the Love" Challenge and the new release of the "Valentine Bears" set over at Art Impressions! I love this adorable set. 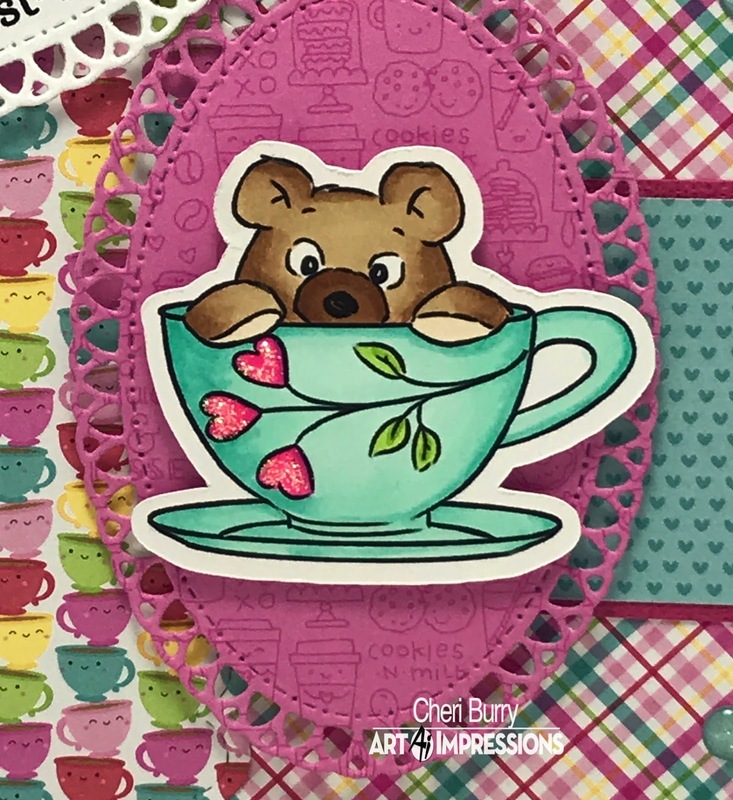 It comes with 3 different bears and 8 sentiments. You can use it for Valentine's Day or other different occasions which makes this set so versatile! 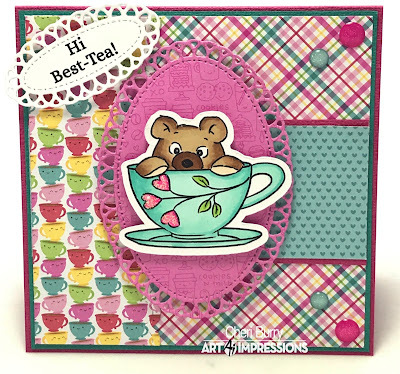 I decided to use papers form the Doodlebug Cream & Sugar 6x6 collection! I thought it was perfect to match the cute Bear in the teacup from the Valentine's Bear set! I added some enamel dots and Stickles to finish off my card! 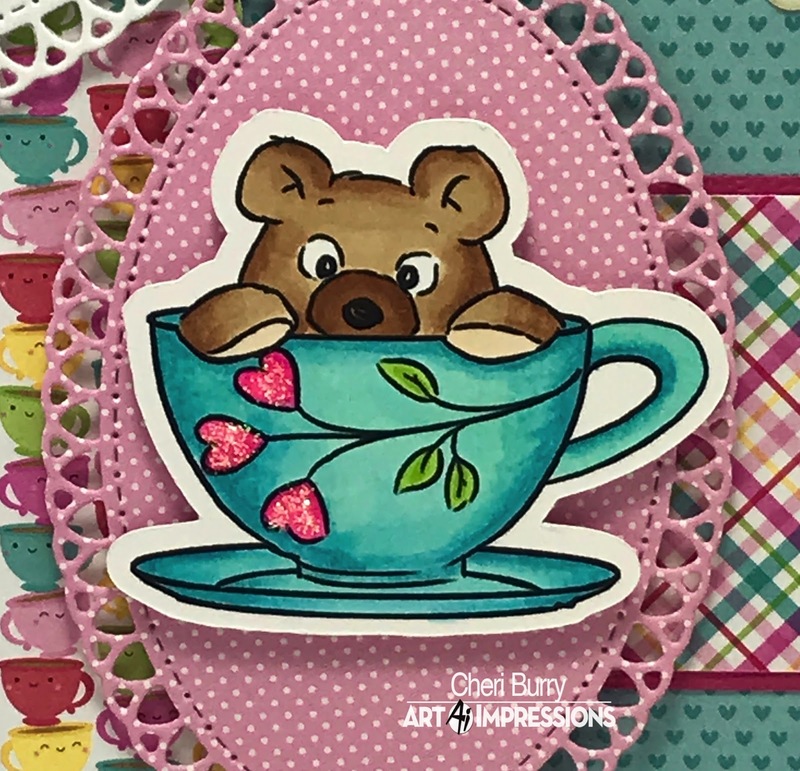 I mean how cute is this little guy peeking out of the teacup?!! I just love that sentiment too! Great play on words!! 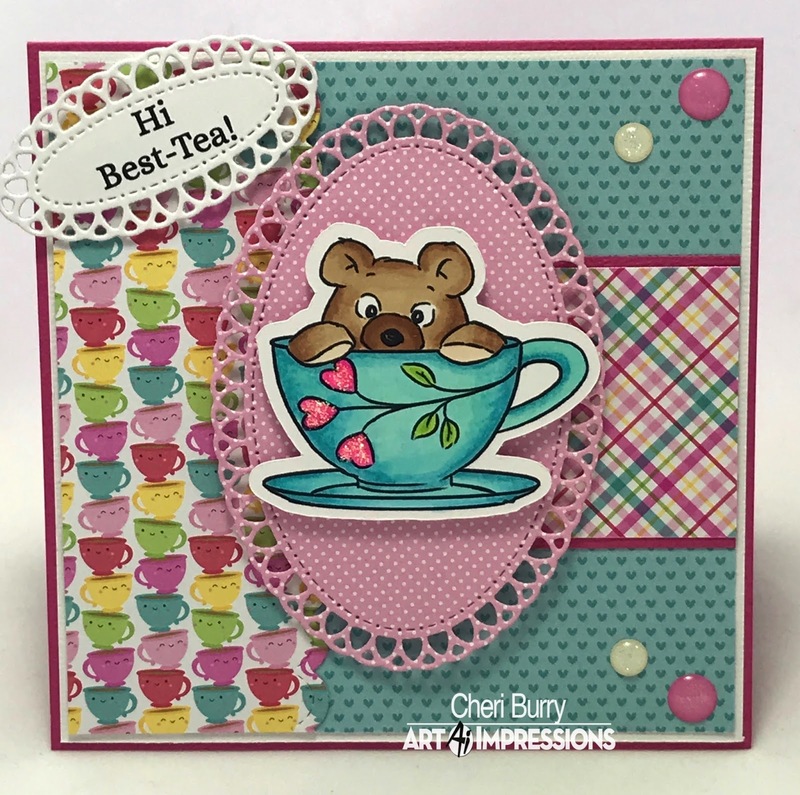 I hope you'll play along in our "Feel the Love" Challenge! 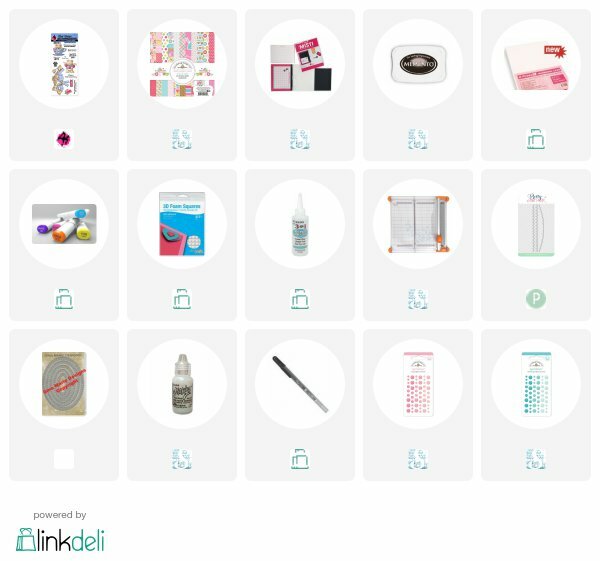 I can't wait to see what you link up! OMGosh these are seriously C.U.T.E!! 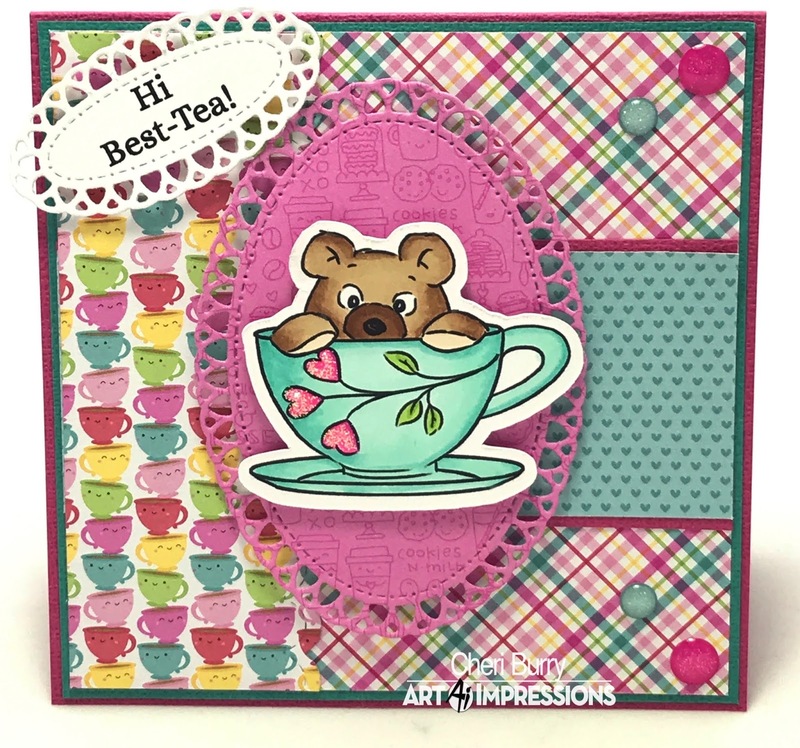 A fun, cute image coloured to perfection! 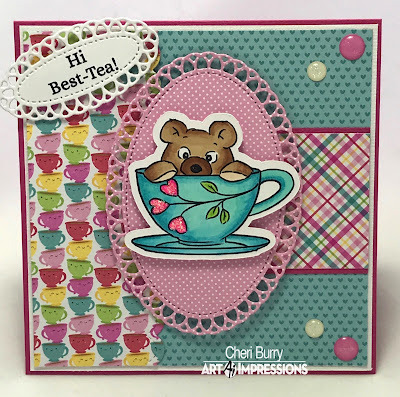 Love the colour and paper combos! Gorgeous makes my talented friend!